Contact Jacquie Houser at 216.504.6483 for more information. Live with severe mental illness or other cognitive impairment, Autism Spectrum Disorder. AmazonSmile is a simple and automatic way for you to support PLAN every time you shop, at no cost to you. When you shop at AmazonSmile, Amazon will donate a portion of the purchase price to PLAN. PLAN is a membership organization for individuals with mental illness, cognitive disabilities and Autism spectrum disorder. 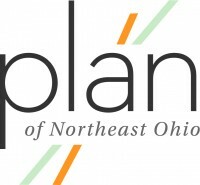 Since 1989, PLAN of Northeast Ohio has provided help to those living with chronic mental illness and their families. PLAN’s approach provides the tools individuals need to achieve enduring emotional and cognitive growth. PLAN offers more than 80 hours per month of social, recreational and wellness programming that helps members improve social skills, make friends, become more independent, gain self-confidence, reduce anxiety, and improve overall quality of life. Members have the opportunity to work and/or volunteer as Program Assistants who facilitate groups and assist with transportation to and from activities. Program Assistants serve as excellent role models for other Members. Members meet weekly to assemble bulk mailings and other projects for local businesses. They learn vocational skills in a stress-free and supportive environment, eventually using those skills in their chosen vocation. Our staff works with family members and caregivers to help structure a thoughtful life long plan for PLAN members, to ensure their loved one continues to get the right supports when they are no longer able to provide it. PLAN members have access to social workers who provide counseling, support, education, referral and linkage to government or medical organizations. You can help support PLAN with your donation.